This site can go in different directions for folks interested in various aspects of bowed and fretted instruments, history, maintenance, repair and so on. Not to mention music and other such things. Repair techniques and tips I recommend that you visit www.frets.com, a marvelous and enormous site put together by my old friend Frank Ford, over in Palo Alto. Much of what I have here on my site is merely ancillary to what he has on his site. Herewith, a couple of approaches to repairing broken scrolls and necks on bowed instruments, mainly basses and cellos. What is grain runout, you ask? 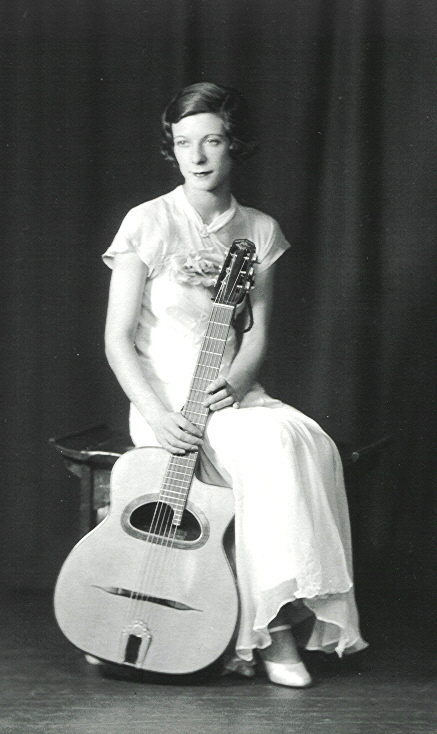 This link leads to a cluster of pages about one of my favorite guitars. Those marvelous Franco-Italian things that get used for Gypsy Swing and more. For many years, my main man in Paris has been François Charle. He has a marvelous operation going there called R&F Charle, comprising a shop offering lutherie and restoration, a lot of very cool instruments, and an astonishing amount of information. A link to Djangobooks.com, which I think is the best single place to get information about the burgeoning gypsy jazz scene, with forums, ads, reviews, you name it. 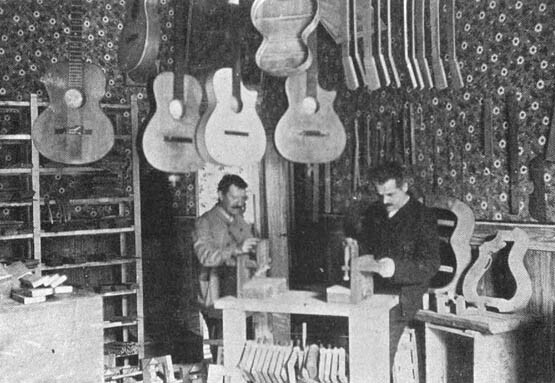 A vanished site about possibly the most influential luthier of the 20th century, Luigi Mozzani. I often receive inquiries from folks wondering where they can learn guitarmaking, violinmaking and so on. When I began, there was virtually nothing available, so it was often a case of the blind leading the blind. Now we have an embarrassment of riches, in terms of books, videos, journals, luthier's guilds, schools, seminars and so forth. Probably the most significant advance in information is the internet. To participate, you will need to register for each of these, of course. These are really the only public ones I find useful. There are three luthier's organizations I belong to and heartily endorse. One is approximately west coast, a non-profit, tax-exempt educational organization, another is approximately east coast and touts itself as a "Professional Luthier Organization," though many people - professional and otherwise - belong to both. The third one focuses entirely on bowed instruments, and now encloses the Catgut Acoustical Society. Each has occasional conventions, and produces journals.